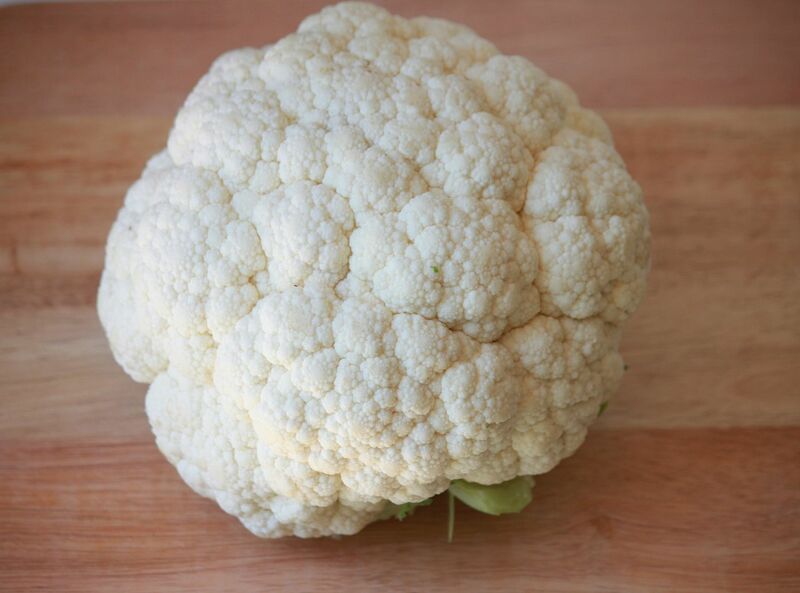 I have been on a total cauliflower kick lately. After making skinny mashed potatoes and cauliflower poppers I knew I was hooked to this once boring (to me) vegetable. Cauliflower is super low in carbs and high in fiber making it the perfect substitute for those starchy dishes...like rice. I recently found this video on how to make cauliflower rice and I knew it was a recipe that needed to be tested asap. I am SO excited about this recipe I may or may not have done an actual happy dance when I ate it for the first time. Wash and dry cauliflower. Cut into small size chunks. Using the shredder blade of your food processor, place the cauliflowers chunks into the processor until it is the size of rice. 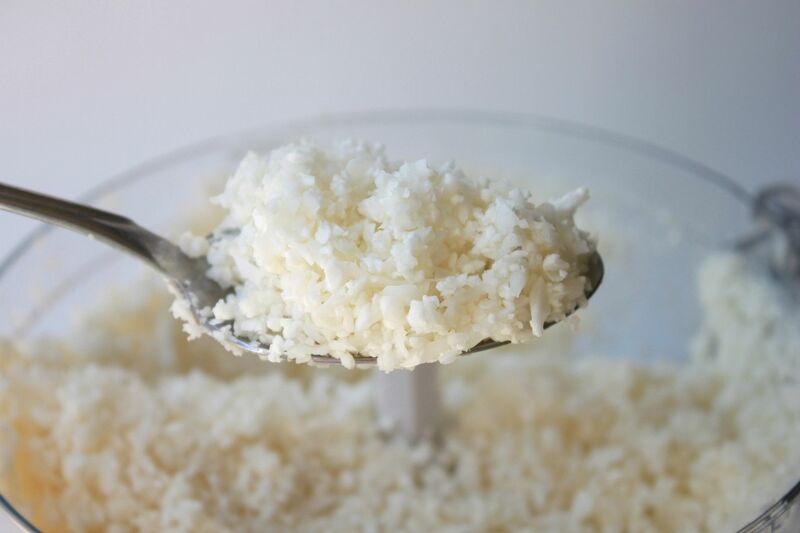 Remove from food processor and place "rice" into a microwave safe dish with a lid. Microwave (you do not need to add any water) for 5-6 minutes. Done! So so easy. Season however you normally like your rice. This only took 5 minutes to cook and my husband was shocked that it was actual cauliflower. I seasoned it with butter, salt and pepper. I paired it (I know I sound so fancy) with a vegetable stir fry and it was fantastic! Such a great substitute if you are trying to cut back on your carb intake. On a side note: I haven't felt like doing much else lately other than cooking, baking and cleaning (hello nesting) so you may be seeing more recipes here than normal. Is there a way to make this and not use the microwave? Just put it on the stove for a few minutes? Awesome idea! And I'm with Katie, I don't even own a microwave so I'll be heating it up on the stove. i have an awesome recipe for cauliflower pizza crust that I need to share with you - you would love it! we are looking for ways to get my daughter to eat more vegetables and she loves rice so I'm hoping this will work! Thanks so much! Lindsay - thanks for posting this recipe! I absolutely love cauliflower and I've never thought about making it into rice. Definitely trying it this week!! 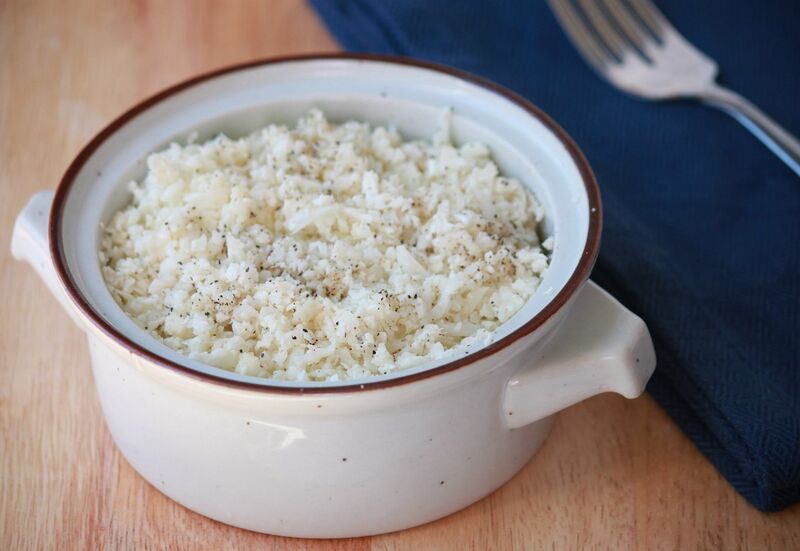 Amazing all the things you can do with cauliflower! This is a great idea. Great way to cut out carbs. Awesome Linds! It sounds pretty tasty as well! Oh yea, bring on the recipes :) You inspire me to be healthier. I'm going to have to try this. I'm currently on a no carb diet and this will definitely trick my brain into thinking I'm eating carbs. It's kind of crazy to me how versatile this veggie is! This looks yummmmy! This looks awesome! I've been on a "using my immersion blender" kick so maybe when I make some sort of soup I'll serve it with this rice! One of my house mates made this and a little word of warning to everyone: Cauliflower smells really strong when shredded into small pieces so make sure it's put in a VERY tight tupperware box to stop it stinking out the fridge! Hmm, I wonder if I could get my kids to try this? They love white rice. I think I could devour a whole pan of roasted cauliflower - yum! Thank you very much for stopping in my blog!!!! It's a pleasure to me!!!! 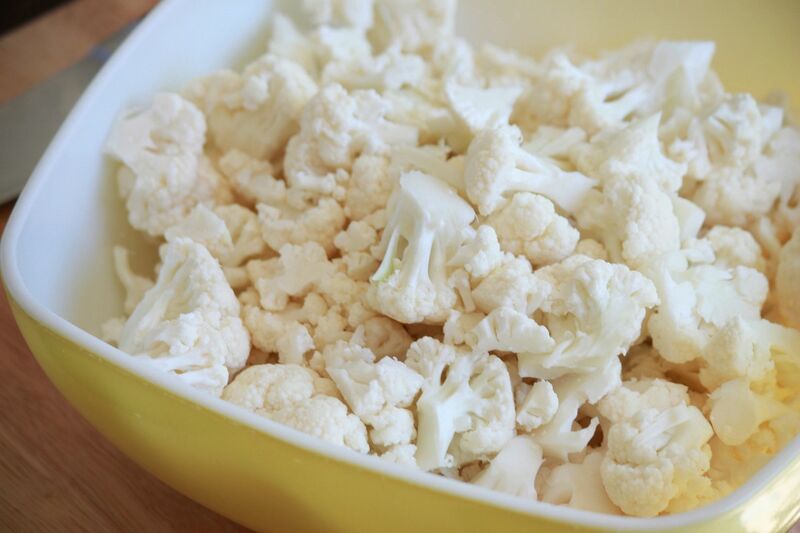 I also like the recipe you share in this post!I love cauliflowers!!! Have a very nice day!! My daughter would love this...me too. Wow! That looks like rice! I'm going to have to tell my SIL about this one! OMG I need to try this! Being a vegetarian I am always looking for alternatives to carbs and new ways to eat veggies. TOOOTALLY need to try this this week! Made this tonight - served w/tofu and roasted carrots. So good and SO easy. Thanks! When i make this i just use the cheese grater on the whole head so easy. You have to try the pizza recipe..its amazing! I made this today after finding your blog via a google search! Yumm! Thanks! Dear Lindsay, Is there any other way to make this "Rice" without the microwave :)? This is amazing! I tried this today with Thai Green curry chicken...and I didn't miss white rice at all! It was like I was eating rice! I LOVE rice, but have been diagnosed insulin resistant. So I needed alternatives...and this is Heaven sent to me! Thank you! Thank you! Thank you! Fantastic alternative to rice. Had it with a butter chicken curry tonight and as others have said, we didn't miss real rice at all. I blitzed it a little too much so it was more like couscous. Just made this "rice" served with chili. OMG wonderful!!! I served this tonight to go with our chicken taco stew- it was SO good! I was skeptical about how my husband would receive cauliflower rice, but he said "I don't know why it's so addictive". Score for this wifey! I served this up tonight for the first time with some pan fried salmon. I didn't mention what it was and it went down a storm with everyone. There is no real flavor and it really does have the texture of rice.